Jaipur, Rajasthan, India, Jun 23, 2017 NEET Result 2017- Today CBSE has declared the NEET 2017 Result . A staggering 11, 38,890 students appeared in NEET 2017 trying to realize their dream of becoming a doctor. Unfortunately, not all of them would make it. While some would give up, others would persist, they would still pursue their dream one more time. They would again invest their time, effort, and money in coaching for NEET. Standyou is an online platform where students can search, compare, and apply for admission in any coaching institute of India. Through Standyou students can avail exclusive discount in fee and get a scholarship based on their past rank, result, and percentage. CEO of the Company Priyank Shrivastava, said that, â€œStandyou is not a sponsored or a classified listing platform but itâ€™s Indiaâ€™s first data-driven online platform and marketplace for coaching institutes fulfilling coaching instituteâ€™s search need. Standyouâ€™s search engine has an unbiased and non-advertised listing algorithm. The platform is completely driven by ratings and reviews, number of selection, percentage of selections and fees." 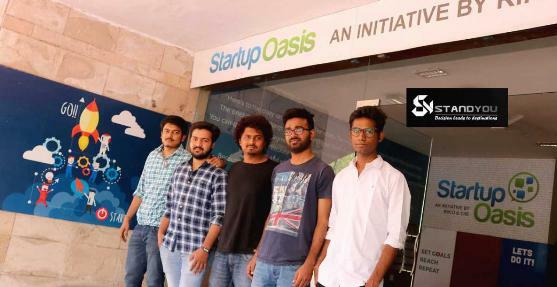 This startup is the online platform and marketplace for coaching institutes â€“ StandYou. The launch of www.standyou.com will help the students in getting discount in fee and get up to 100% scholarship in coaching fee, this is India's first platform where students can claim scholarship from any coaching institute based on its past results and achievements.Launch of standyou will reduce the high cost of advertisement and expense in conducting talent hunt examination of the coaching Institutes and will also help the deserving students in getting scholarship and discount in admission fee. Press Release (ePRNews.com) - JAIPUR, India - Apr 17, 2017 - The launch of Standyou will help the students in getting discount in fee and get up to 100% scholarship in coaching fee, this is Indiaâ€™s first platform where students can claim scholarship from any coaching institute based on its past results and achievements. Launch of standyou will reduce the high cost of advertisement and expense in conducting talent hunt examination of the coaching Institutes and will also help the deserving students in getting scholarship and discount in admission fee. Standyou is an online platform of coaching institutes which allow students to search, compare, apply online for admission, get discount in fee, apply and claim scholarship from any coaching institute of JEE and NEET. The launch of www.standyou.com will help the students in getting discount in fee and get up to 100% scholarship in coaching fee, this is Indiaâ€™s first platform where students can claim scholarship from any coaching institute based on its past results and achievements. Standyou has vision to help in improving the learning of students and teaching of coaching institutes, using Machine Learning and Predictive Analytics. Use of Machine Learning in generating analysis report for the students. Using big data, we can extract insights for the teaching institutes, which will help them to improve the management, improve facilities, enhance their analytic capability, provide visual analytics, manage student information system and faculty information system. EdTech start-up, Standyou launched India's first online data driven platform and marketplace for coaching Institutes.